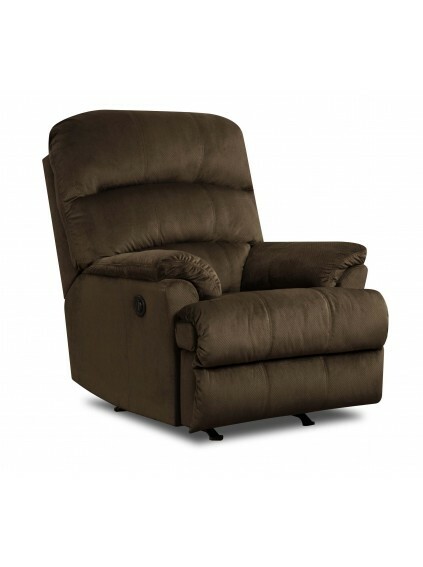 Triple pinch back handle activated rocker recliner. 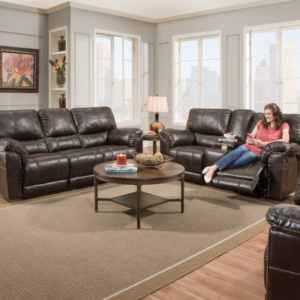 Padded arms, T Cushion, and a fully padded chase for added comfort. Covered in a performance fabric.